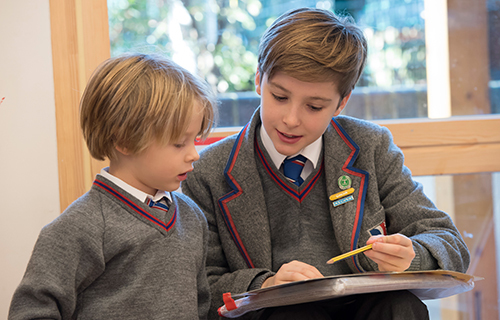 One of the Rokeby Parent Circle’s main objectives it to raise much-needed funds for our chosen charities through organising enjoyable events for the parents and boys. Two charities are supported for a period of two years each. Each year new charities are nominated by any Rokeby parent via their class rep. The new charity is selected by the form reps, members of the SLT and the RPC committee at their annual lunch. An anonymous voting process is used and each charity proposed must have some affiliation or connection with Rokeby School. One third of the money raised is given to each of the two nominated charities each year, with the remaining third going to the school to buy ‘added value’ items that may not be covered by the general school budget. In recent years these items have included a laser cutter and two 3D printers for the DT department, tables and benches for the boys on the terrace. Eikon is an award-winning Surrey based charity that has been working in the local Surrey communities for over two decades. We provide long-term support to some of the county’s most vulnerable young people. Our vision is to develop happy, thriving and resilient young adults who make a positive contribution to society. The Eikon Charity’s origins date back to 1995, when the ‘New Haw Youth Project’ was set up by our founder, Chris Hickford. Chris met many young people coping with extremely difficult personal issues who had very little, if any, help available to them. It was apparent that regardless of the severity of their issues, due to the fact many of these young people had not yet reached a certain level of crisis (such as committed a crime, been excluded from school or become homeless) they were below the threshold for government support. 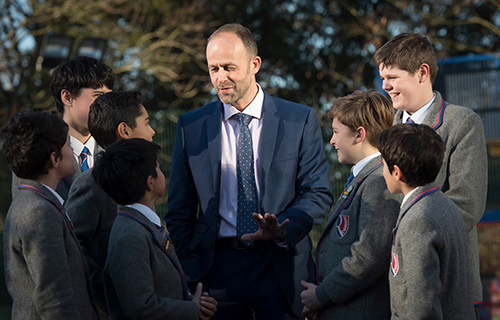 Chris and his team understood the importance of helping these young people before their problems escalated into larger and potentially insurmountable crises. The group’s work expanded into other areas of Surrey and in 2005 it was renamed The Eikon Charity. “Eikon” means picture, or vision, in Greek and reflects the charity’s ambition to help those we support visualise a better future. The name also has connotations with “icon”, which is appropriate, as positive role modelling for young people is a fundamental part of the charity’s work. Since 2016 four charities – Eikon, Reflex Woking, Windle Valley Youth Project and The Lifetrain Trust have merged to form the organisation that Eikon is today, supporting thousands of young people. Each charity brought strengths and most importantly, a great reputation for helping young people transform their lives. Prader-Willi Syndrome Association UK is being supported from September 2017 to September 2019. Prader-Willi syndrome (PWS) is a rare and complex genetic disorder that affects both males and females from birth, and throughout their lives. It occurs randomly in about 1:20,000 births and we estimate that there are over 2,000 living with PWS in the UK. PWS causes very low muscle tone with consequent motor developmental delays, a mild to moderate learning difficulty, incomplete sexual development, and emotional and social immaturity, leading to temper tantrums and challenging behaviour. During childhood, an overwhelming and insatiable chronic appetite usually develops which, without rigorous food management and exercise regimes, leads to food seeking, food stealing and life threatening obesity. The Prader-Willi Syndrome Association UK’s vision is to cure the challenges of life with Prader-Willi syndrome. They do this by providing a helpline for families often in crisis, offering support, practical help and mediation with other professionals. They publish comprehensive information about the latest techniques for the management of the syndrome and provide training, workshops and conferences for parents and professionals working with people with PWS. They organise a peer support network of regional activities throughout the UK to enable families to link together and counter the social isolation frequently caused by rare diseases. They campaign to champion the rights of people affected by PWS and fund research where they can. Although PWSA UK is a small and little known charity they have very high ambitions and work tirelessly to support those living with, or affected by PWS.